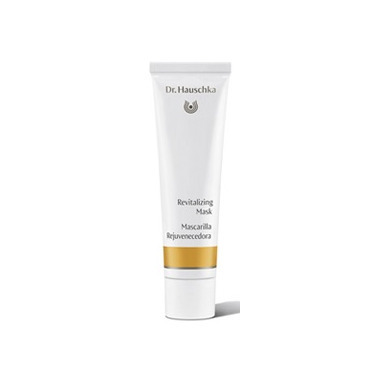 In just 20 minutes, Dr. Hauschka Revitalizing Mask offers soothing care and deep renewal to all skin conditions. The appearance of redness or blemishes is diminished, pores are visibly refined and skin appears even and toned. Skin glows with a healthy radiance. Great product! Love how my skin looks and feels after using it. Well worth the cost! Every time my skin feels tired or just dehydrated, this Dr. Hauschka mask is the best choice! It can be a bit pricy but after using it for more than a year (and after trying tons of other masks) I can say it is really worth it!